I’ve never been into Spin. Just not my thing. After furiously riding a stationary bike for an hour, I’d dismount my bike – crotch numb and knees weak. I’d rather be running or lifting weights, personally. 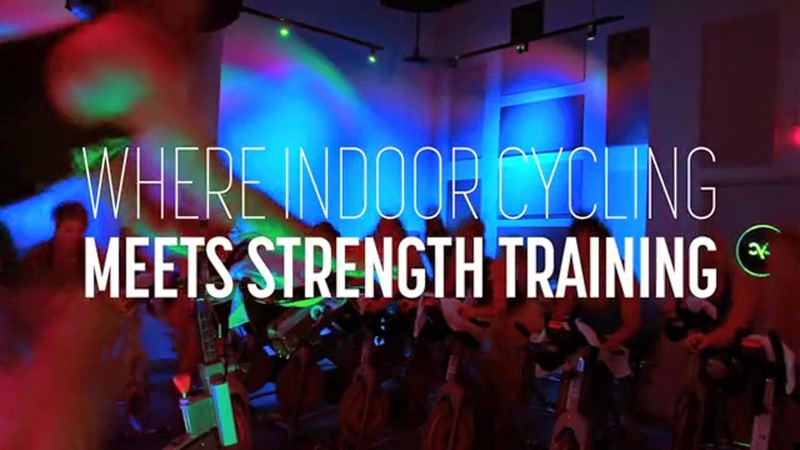 So when the offer came to try a complimentary class for fitness trainers in Atlanta, I kept an open mind and tried a class at Cyc – a national chain new to Buckhead. Long story short, I think I’m a converted fan. What struck me about my class? 1) My instructor… err, I mean Cycologist. See what they did there? How clever! Caroline was amazing. Quasi boot camp-esque, quasi drill sergeant but 100% awesome. She kept my energy level and motivation high for the entire duration of the class. She sprinkled in a few motivational sayings which gave me an extra push – “Think about how many people wish they could do what you’re doing. Whether they can’t afford it or aren’t healthy enough to do this. Push it for them.” Call me a sucker, but that struck a chord. Definitely made me push harder and finish strong. 2) The playlist. AWESOME jams for the entire class kept me pedaling my little heart out. I even found myself dancing on my bike at a few points. Then I accidentally dropped my towel and one of my hand weights on the floor. Lesson learned. I did too much. 3) The incorporation of upper body. My arms were on FIYA after the weights portion of the class. We each were given two hand weights and used them for exercises simulating basketball and volleyball. Lots of isometric holds and I was feeling the burn. Made me feel better than if we just worked lower body for 45 minutes. 4) The staff. Everyone is so friendly!! You’re welcomed in, given a pair of shoes and shown where the lockers are. The energy is so high, and everyone seems so genuinely excited for you to have a great workout! They come around, offering assistance to help set your bike before class and cheer you on throughout. All in all, I loved Cyc enough to sign up for a package. They currently don’t offer an unlimited option, but I purchased a bulk package that should carry me through for a month or so before I reevaluate (it is expensive! If you’re in the Atlanta area and looking to check out a spin studio that’ll keep your heart rate and energy up, definitely check Cyc out. And if you do, please let me know what you think! What about you? Do you spin? If so, which studio is your go-to? Why? *While my first class was complimentary, the above review is all my own opinion and not sponsored.